The new FLIR PTS233 ThermoSight Pro weapon sight sets the bar in the price to performance category. This is a rugged, compact thermal scope featuring the new 12-micron Boson thermal core, 320 X 240 resolution, and 60 Hz refresh rate. Native magnification is 1.5X with digital zoom. The real world FLCOS display is stunning at this price point. 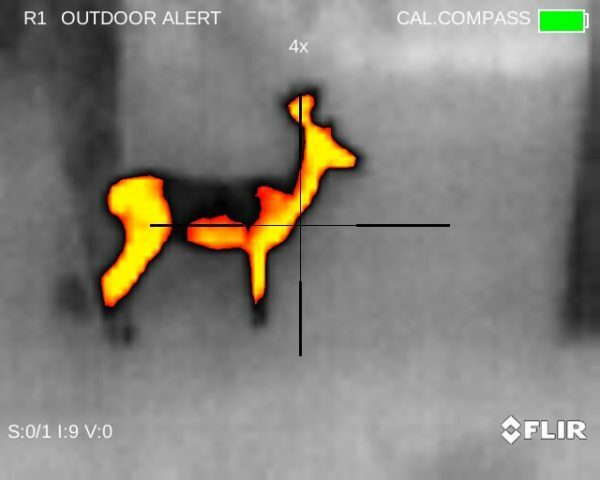 My primary use for a thermal scope is hog hunting. That is what I base my evaluation on. 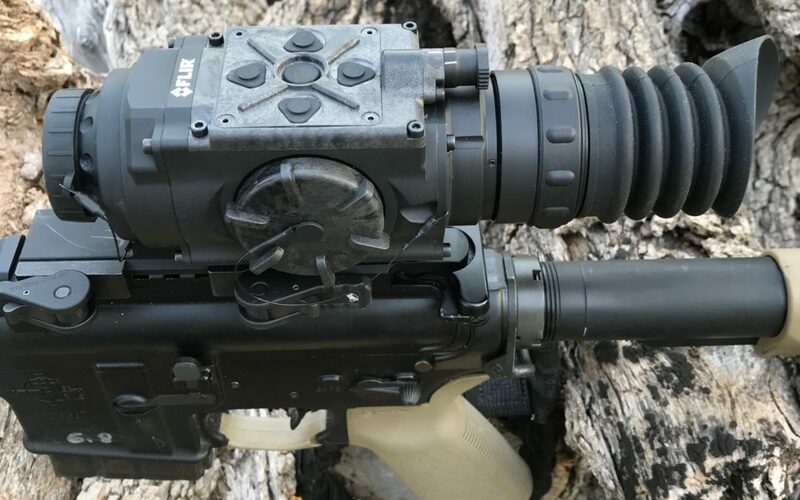 In general, thermal scopes have been experiencing a surge in popularity over the past several years as performance has gone up while price has come down. I’m not an engineer, I am simply a hunter. 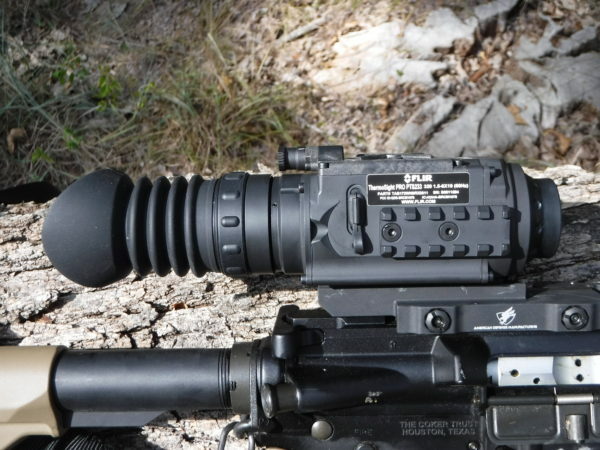 That said, I have hunted with many thermal scopes costing $8,000 – $10,000 and I am very happy with the FLIR PTS233. It simply performs. My host platform is a custom-built 6.8 SPC short barrel rifle. This is a premium quality build featuring a Wilson Combat match barrel, Geissele SSA-E trigger group, FailZero bolt carrier group, Samson Evolution handguard, and Magpul furniture. The 6.8 SPC is an ideal hog hunting gun when loaded with Barnes TTSX or Nosler 110gr Accubond. I think it is the ideal cartridge for hog hunting inside 200 yards. The PTS233 is compact and lightweight (coming in at only 1.44 pounds). I initially planned to mount it on my LMT AR-10 .308 but then settled on the much lighter 6.8 SBR to facilitate stalk hunting. Here in South Texas, stock tanks are a favorite place to find hogs and it is great fun to make the rounds on the ranch sneaking up on these watering holes. The SBR and PTS233 are a great match. 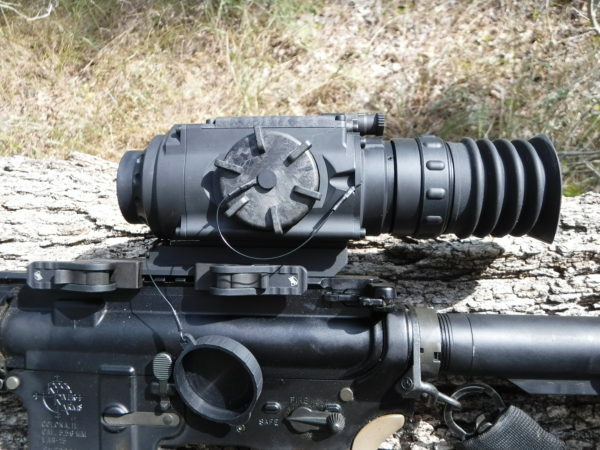 An American Defense Manufacturing quick-detach mount is standard. An aftermarket ZRODelta DLOC is also available and is an upgrade over the included ADM mount. 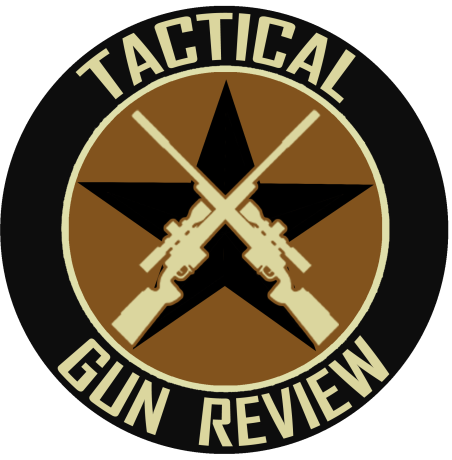 There has been consolidation in the industry with Trijicon purchasing IR Defense and FLIR purchasing Armasight. In addition, Pulsar now produces some outstanding thermal scopes. In my opinion, ATN is a step behind all of those guys. It will be interesting to see how the market shakes out in the next several years. 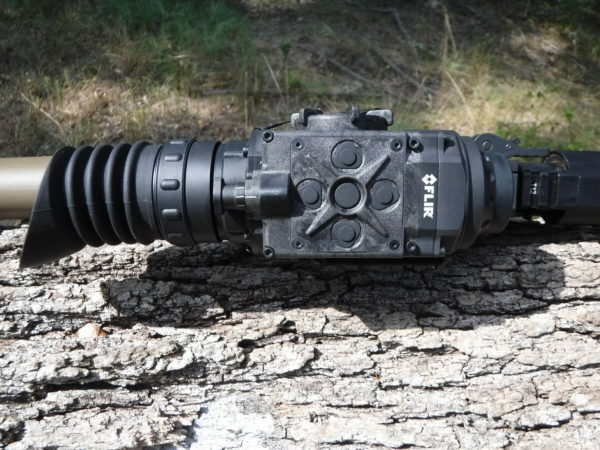 The FLIR PTS family includes the PTS233, PTS536, and PTS736. The primary differences are the lens system, native resolution, and price. The PTS233 focus is not adjustable like its big brothers. Otherwise, they are very similar. For my purposes, there is little reason to spend more money on the two higher priced models. For a complete Specifications Sheet on the PTS233, visit here. Palette choices include Black Hot, White Hot, Artic, Sepia, Ironbow, Rainbow, and Outdoor Alert. I normally hunt with Black Hot as I find it presents a natural view and is less stressful on the eyes than some of the other wild choices. That said, I’m digging the Outdoor Alert! The PTS233 can capture still photographs or video. Video is recoil-activated so you never miss the action! The onboard memory can record 2.5 hours of video or 1,000 photographs. The FLIR PTS233 comes in a rugged plastic hard case. Accessories include a spare battery holder so that you can quickly hot-swap in the field and a USB cable to download photos. 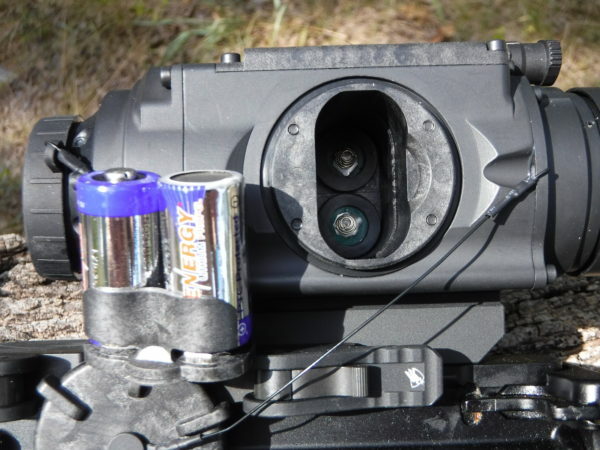 The thermal scope is powered by two (2) CR123A 3V Lithium batteries. 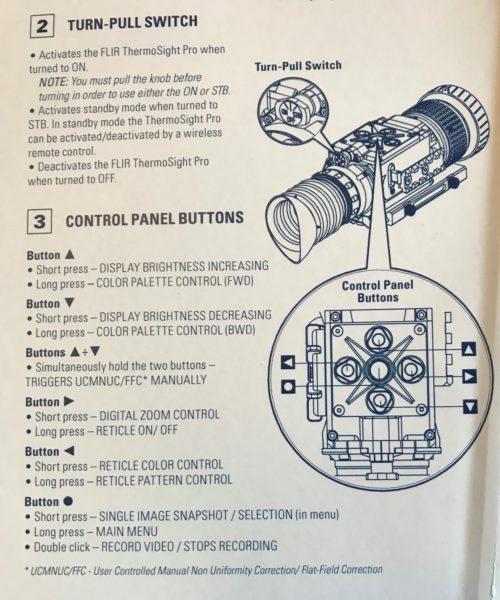 FLIR did right by designing a manual Power switch on the back of the unit – On / Off / Standby. This makes it very easy to turn on and off in the dark or on the move. I hate fumbling around trying to find the correct soft button to depress. Controls are a typical configuration. It takes some repetition to quickly recall which button changes the palette, snaps a pic, zooms, etc. but it is fairly straightforward. 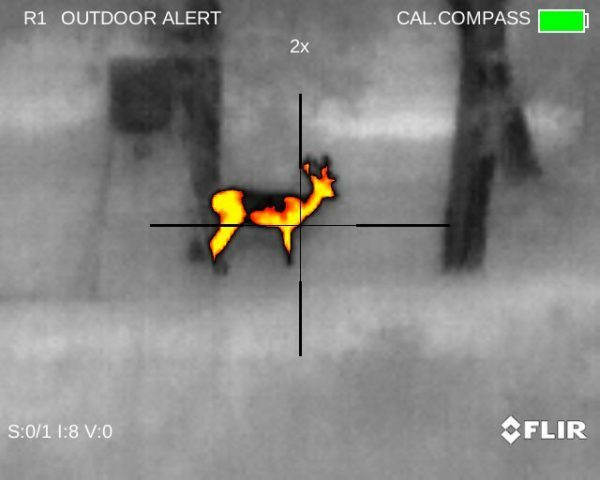 We have several FLIR PTS233 in stock. These are New In Box, never opened units. We are not typically a retail sales website but we do have an LLC and Texas Sales Tax permit. We are making these available at a fantastic price. Thermal imaging devices are tightly regulated by the International Traffic In Arms Regulation (ITARS) and the USA Department of State. It is illegal to ship or carry this item outside of the USA – punishable by fines and/or prison. By purchasing this product you confirm that a) You are a USA citizen, and b) you will not ship or carry this product outside of the USA. PRICING TOO LOW TO ADVERTISE! CLICK HERE FOR SALES QUOTE.